The DEMA Show 2017 in sunny Orlando, Florida was as thrilling as 360Rize® had hoped for! The CEO and creator of underwater 360 camera configurations, Michael Kintner, and his crew, once again did not disappoint as he showcased all the wonderful options he has patented and made available to the scuba community since 2015. 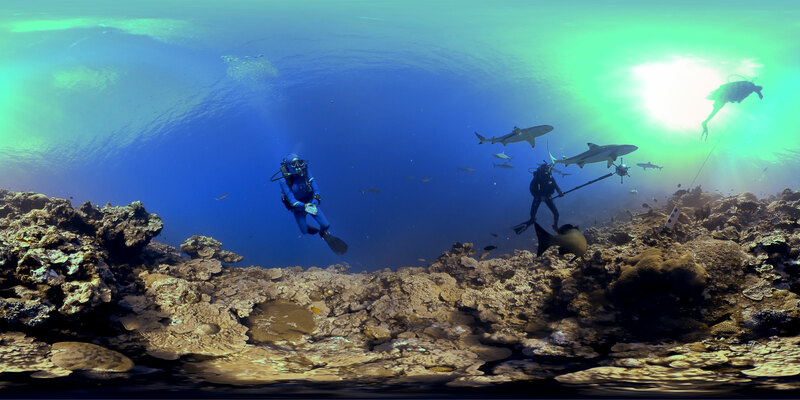 Underwater footage filmed with the SeaDAK by Macdonald Productions was on display to view as well as editing solutions showcased by 360Rize®. As one of the only creators of this kind of technology, he continued to revealed the newest developments, using the 360Abyss™ design, that will accommodate more current camera options than the original utilized GoPro™ Hero 4 camera for this unit. Before now, the 360Abyss™ has been the only underwater 360 option sold by 360Rize®, and targeted the market for extreme underwater videographers that specialize in gathering 360 video content to depths of 1,000 meters. Now the 360 SeaDAK with a certified diving depth rating of 130 feet (we know it will go to 230ft without a problem) (see SeaDAK under pressure video below), professionals, prosumers and consumers can all experience filming underwater 360 video. 360Rize® has created a kit for around $2500 that includes just about everything you will need to get started! Hows does the SeaDAK go together? How well does the SeaDAK work under pressure? So whats in the SeaDAK and Case?